Drum cylinder adopt special rubber lining or acid stainless steel plate, has realized the automatic except scar, tumor, cancel the traditional scraper device. 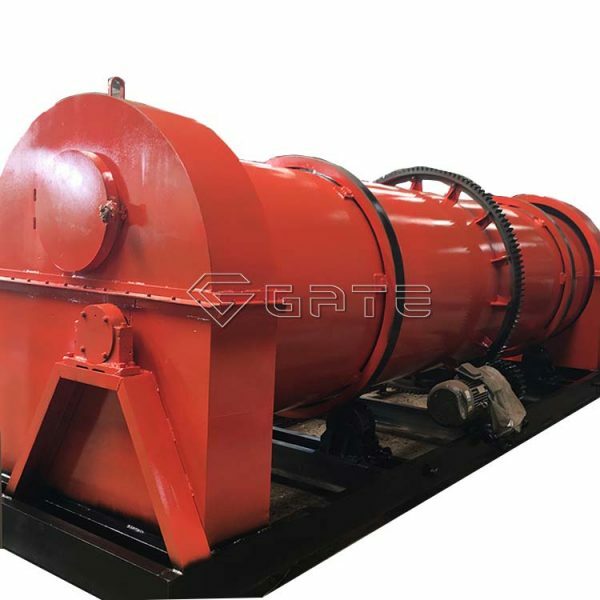 The machine has the characteristics of high ball strength, good appearance, corrosion resistance, wear resistance, low energy consumption, long service life, easy operation and maintenance. 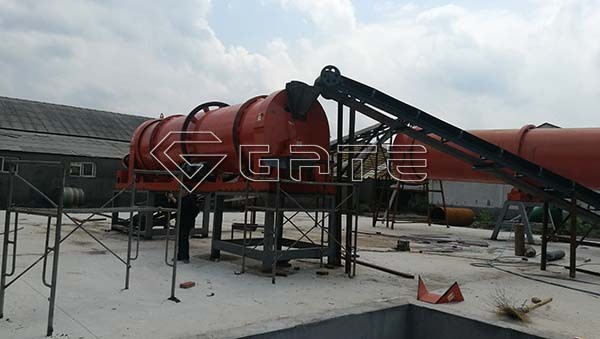 Drum granulator, machine ventilation with steam, gas, or adding phosphoric acid or ammonia nitrogen and phosphorus ammonia solution slurry, coarse whiting slurry, within the cylinder with the fertilizer granulation process of chemical reaction and heat; Or cold added a small amount of moisture content of compound fertilizer granulation process. The need of granulating material through the rotation movement of the cylinder, the cylinder didn’t scroll spin, sticking together under a certain humidity, temperature, into a ball, complete system process. 1, The granulate rate is 70%, there is a small amount of returns, return product particle size small, can be granulated again. 4, large output, low power consumption, low maintenance cost. 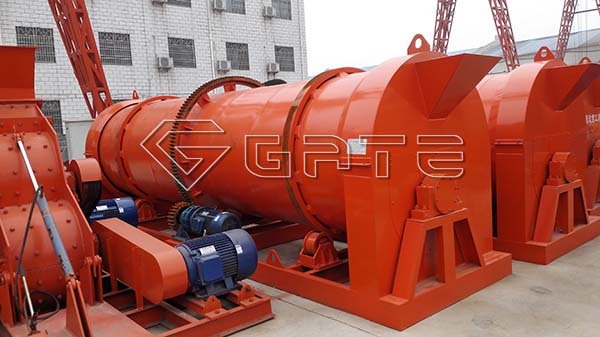 The whole granulator body of the rotating part of the support by the bracket, the force is greater. Therefore the granulator wheel frame parts are used in the carbon steel plate, welded steel, and through strict quality control and special process requirements to reached the purpose of the machine used. In addition to the more important is fixed on the shelves of the care, due to take into account its body roll will have a greater friction, our factory specially selected high-quality anti-corrosion, wear-resistant materials, greatly improving the life of the granulator, The others is also used in casting one of the four sides of the wheel with a hanging hook, easy loading and unloading transport. The whole machine transmission part is optimal for the important work of the whole body have the. Transmission frame adopts high quality channel steel welded together, and passed the strict quality requirements. Installed in the transmission frame of main motor and speed reducer are choose ISO inspection-free products, quality is reliable. Motor drive pulley, triangle, speed reducer drive spindle, to make the body work, including transmission reducer in working parts of main shaft, driven by nylon occlusion pass cancellation coupling phase. Fixed on the body, with the transmission pinion gear, the opposite drive the body work, the use of high-tech wear-resistant materials, so that the granulator longer life.Fixed on both sides of the body to support the whole body. The whole granulator is the most important part of the body, which is made of high quality carbon steel plate welded, built-in special rubber liner or acid-resistant stainless steel liner, to achieve automatic scars, off the tumor, cancel the traditional scraper device, and Through strict quality control and special process requirements, in order to achieve the purpose of the use of the fertilizer granulator.